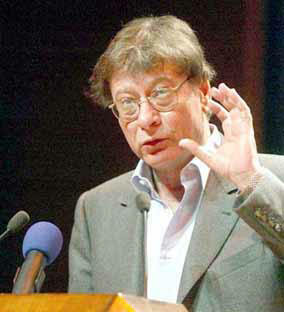 Mahmoud Darwish, in the presence of Absence! Mahmoud Darwish has quietly left us on Saturday 9 August 2008 after 67 years of a life jumping from one peak to another, rising higher every time, transcending his own successes. He was a beautiful human being, able to see what no one else can see: in life, politics, and even people, expressing his visions in a language that seems to be made only for him to write with. When he decided to take on this difficult surgery we thought that he can beat death, like he did several times before… but he, it seems, with his prophetic insight, could clearly see his “ghost coming from afar”. He wanted to surprise death rather than wait for the “time bomb” that was his artery to explode unannounced… he went prepared, as he always is, leaving us behind to “nurture hope”.